One justification put up by the wind industry for the social and economic chaos caused by spiralling power costs was the claim that investment in wind power would create a “new” economy with millions of groovy “green” jobs. True it was that Germany saw an increase in renewables related employment – the bulk of it in the development and manufacture of solar panels – but all of it was built on a raft of taxpayer and power consumer subsidies: it was – therefore – unsustainable. Any job that relies on a subsidy results in a loss of employment elsewhere in the economy. In Germany, the subsidies for “green” jobs are paid for in rocketing power prices, which impacts on the profitability and competitiveness of all businesses and industries. German manufacturers – and other energy intensive industries – faced with escalating power bills are set to pack up and head to the USA – where power prices are 1/3 of Germany’s (see our posts here and here and here). And now that the Germans have started to wind back subsidies for renewables (see our post here), the “green” jobs that were built on them are disappearing fast. Here’s Die Welt on the unsustainable “green” jobs “miracle”. Renewable energy was supposed to create tens of thousands of green jobs. Yet despite three-digit Euro billions of subsidies, the number of jobs is falling rapidly. Seven out of ten jobs will only remain as long as the subsidies keep flowing. The subsidization of renewable energy has not led to a significant, sustainable increase in jobs. According to recent figures from the German Government, the gross employment in renewable energy decreased by around seven per cent to 363,100 in 2013. Counting the employees in government agencies and academic institution too, renewable energy creates work for about 370,000 people. This means, however, that only to about 0.86 percent of the nearly 42 million workers, which are employed in Germany, work in the highly subsidized sector of renewable energy. Much of this employment is limited to the maintenance and operation of existing facilities. In the core of the industry, the production of renewable energy systems, only 230,800 people were employed last year: a drop of 13 percent within one year, which is primarily due to the collapse of the German solar industry. 15 years after the start of green energy subsidies through the Renewable Energy Sources Act (EEG), the vast majority of jobs from in this sector are still dependent on subsidies. According to official figures from the Federal Government, 70% of gross employment was due to the EEG last year. Although this is a slight decrease compared to 2012, seven out of ten jobs in the eco-energy sector are still subsidized by the Renewable Energy Sources Act (EEG). Around 137,800 employees work in the wind sector which was the only eco-energy sector, besides geothermal, that increased employment. About 56,000 employees in photovoltaic sector depend on EEG payments. Subsidies for the generation of green electricity have been paid for almost 15 years and have piled up into a three-digit billion sum, which has to be paid over 20 years by electricity consumers through their electricity bills. This year alone, consumers must subsidize the production of green electricity to the tune of around 20 billion Euros. A lasting effect on the labour market is not obvious. The report, “Gross employment in renewable energy sources in Germany in 2013”, commissioned by the Federal Ministry of Economy and Energy, was jointly written by the institutes DLR, DIW, STW, GWS and Prognos. According to the researchers, the cause of the decrease in employment is the declining investments in green energy systems. The investments in renewable energy sources in Germany fell by a fifth, to 16.09 billion Euros in the past year. Only about half as many solar panels were installed in Germany as the year before. Investment in biomass plants and solar thermal dropped as well. The researchers do not expect that the production of high quality green energy systems will still lead to a job boom in Germany. For this year and the next they expect a further decline in employment instead. Thereafter, low-tech sectors such as “operation and maintenance” as well as the supply of biomass fuels are expected to “stabilise the employment effect”. “A few years ago the renewable sector was the job miracle in Germany, now nothing is left of all of that,” said the deputy leader of the Greens in the Bundestag, Oliver Krischer. The report by the Federal Government explicitly estimates only the “gross employment” created primarily by green subsidies. The same subsidies, however, have led to rising costs and job losses in many other areas, such as heavy industry and commerce as well as conventional power plant operators. For a net analysis, the number of jobs that have been prevented or destroyed as a result would have to be deducted from the gross number of green jobs. 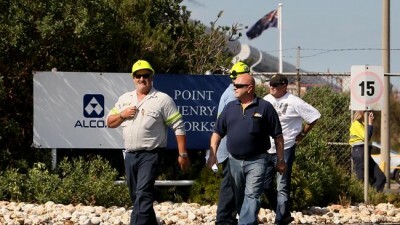 The handful of permanent jobs (as well as fleeting construction work) created in Australia’s wind industry were all the product the mandatory Renewable Energy Target and the Renewable Energy Certificates (RECs) issued to wind power generators under it. The REC is a Federal Tax on all Australian power consumers paid as a direct subsidy to wind power outfits. So far, the REC Tax has cost Australian power consumers around $8 billion and – if the RET remains – will add a further $50 billion to power bills over the next 17 years (see our post here). It’s the cost impact on power prices of that massive subsidy stream that has energy intensive industries – like aluminium processing and mining – lining up to ensure that the mandatory RET gets scrapped now (see our posts here and here). If the RET is retained, expect to see more industrial outfits close their doors, killing off real jobs in the thousands (see our posts here and here). [T]he renewable energy target is very significantly driving up power prices. Increasing power prices obviously pose a serious threat, not just to domestic budgets, but also to the competitiveness of industries, particularly energy-intensive industries. I think we should be the affordable energy capital of the world, not the unaffordable capital of the world, and that’s why the carbon tax must go and that’s why we’re reviewing the renewable energy target. … The review is taking place now … let’s wait and see what the review comes up with. But all of us should want to see lower power prices and, plainly at the moment, the renewable energy target is a very significant impact on higher power prices. As the Germans are learning fast, any policy that is unsustainable will, eventually, fail or compel its creators to scrap it. The mandatory RET is no exception. Victims of the mandatory RET. Siemens US corporate headquarters is in Wash DC, and they are busy pushing the “wind energy” solution for America. Another corporate blood sucker tied to the current administration and the so-called renewables solution for future energy needs of America. I am sure the CEO regularly joins the cocktail circuit to pump how Siemens is here to “help” us solve our energy crisis—all on the backs of the taxpayers. What a boondoggle to the naïve and ill-informed public. .It’s all coming undone – just as climate realists have been predicting for years. Have forwarded this STT post to Steve Garner at Keppel Prince, Portland, Victoria. He is busy organising a Gab fest in August in an attempt to drum up support for the retention of the RET and all those apparent ‘Green’ jobs. Where are they all??? In China!!! Like Germany, Australia will lose countless jobs because of the madness of its headlong rush into unsustainable renewables. If jobs in renewable energy may be subsidised by enormous amounts of taxpayer money then why not subsidise jobs in the Services Industry, in welfare or education or health or agriculture? Renewable energy is of no economic benefit to anyone but the investors; a bit of a scam we all pay for, considering it’s not a stand alone industry. Really who wants to pay extra in their power bill for alternative energy that still relies on constant coal back-up, increases emissions and expensively requires a whole new network of roads and poles and wires to operate? It’s neither financially independent nor energetically independent. It’s not renewable, it’s not clean, nor green and with dire health impacts and extra burden on traditional energy sources, it’s not sustainable. What’s the tally of jobs lost in manufacturing due to excessive electricity costs just so 400 temporary jobs are subsidised at Stage 4 of the PWEP? Why should one section of workers be protected above and at the cost of another? and why should one section of the community be protected from noise impacts and not another? Germans in effect of ‘energy poverty’ realise that when capital intensity of production is greater with renewables, then no jobs are created. I support jobs for all, affordable energy and I vote against the ‘green fantasy’ that is ruining Australia and Australia’s way of life. To farmers (and politicians) believing they are ‘drought proofed’ by turbines, time to take off the green coloured glasses and check which leg is being pulled because you may well be out of pocket when it’s time to dig up the concrete and pay for the mess. Despite the irrefutable truth of the scenario described in this post the NSW government thinks its a great idea to follow suit and turn the state into the ‘renewables beacon of the world’ !!. Unbelievable but true.